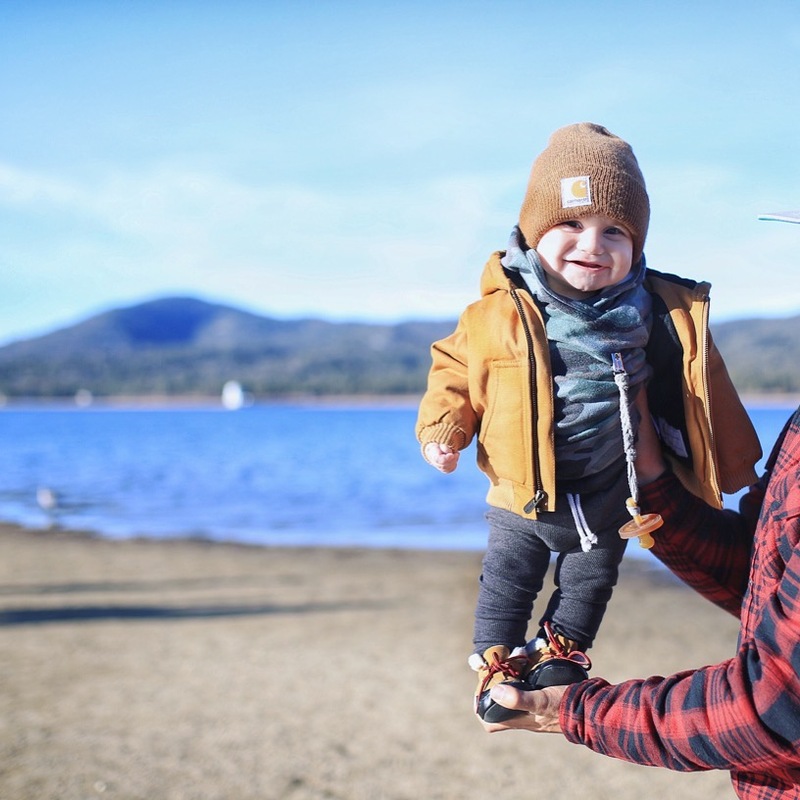 One of our favorite places to visit, especially during the winter time, is Big Bear! We are so lucky to live in a place where we get the best of both worlds, from sunny Orange County with Disneyland and beaches to cool temps and snow just a two hour drive away. It's always so nice to get away from the busy day to day and take some time to slow down. We've been taking this trip since Jason and I were dating and have loved incorporating the kids into our little tradition. But since having kids we find ourselves needing more and more space for all the baby things -a full kitchen we can cook meals in because heading out to restaurants for every meal with three kids five and under isn't easy, and something homey where the kids can feel comfortable to have fun and play outside. Plus, something cute and full of charm is always an added bonus! We've headed to Noon Lodge at Mallard Bay for the past three years and it's the perfect place for families big and small, fun friend getaways or even a romantic staycation. They have accommodations for parties of up to seven. We booked their biggest cabin with my parents and siblings one year and we all loved it. It is located on a quiet street right off the lake and only a few minutes from Big Bear Village full of shops and snow play fun. One of my favorite things about it is the look and feel. They are cabins from the 50's that have been redone with the cutest modern designs. It's literally full of Instagram worthy photo spots. Plus there are fun little activities for the whole family, like lawn games, a pool for summer time, lots of cute picnic spots and my favorite, the fire pits by the lake. It's my favorite spot to sit and enjoy the sunset and of course s'mores with my family. Here's a peek at the cabin we stayed in this time around. 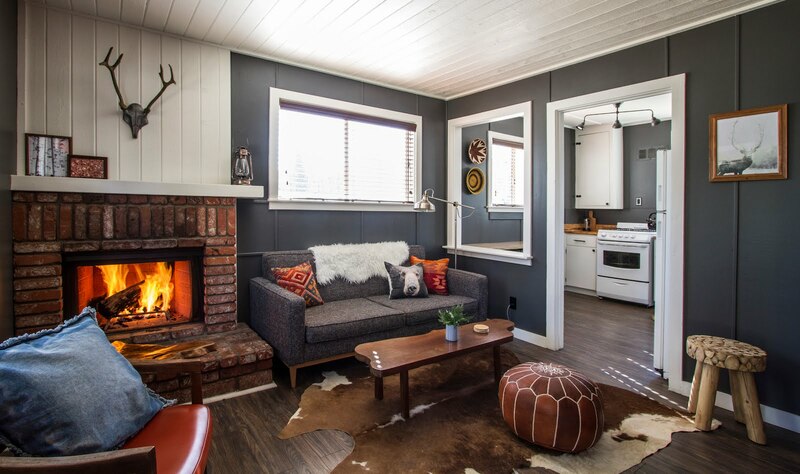 It's their 1 bed + loft cabin with two baths, two stories, one queen and two twin beds, a full kitchen, a living room, fireplace, cable tv and wifi! We spent lots of time in the cabin on our last trip. With Jacks being only seven months and all the fun so close by, it was easier to head in to get all the kids to nap. This also made it easy for Jules and Kourt to change into their afternoon outfits. haha These two and their outfit changes. I know all the girls moms out there get me. Oh, the laundry and the laughs we got seeing how they think they need to vacation. I think those quiet moments together as a family are the things we end up remembering the most. Like, Jules and Kourts concert parties that had us crying laughing with their rendition of, Oh My Gosh, from the movie Sing, all the guitar session we had by the fire, and the game of chubby bunny we played. We headed into the market the day we arrived so our cabin was stocked with everything we needed from snacks, drinks, coffee, stuff for spaghetti, and even ice cream. We celebrated our nine year wedding anniversary, with a spaghetti picnic, and a chocolate cake for lunch. Another fun family moment we will laugh about for a long time. We tried to do one fun outing each day. The one thing we are all still talking about and can't wait to do again is the Alpine slide. It was so fun! 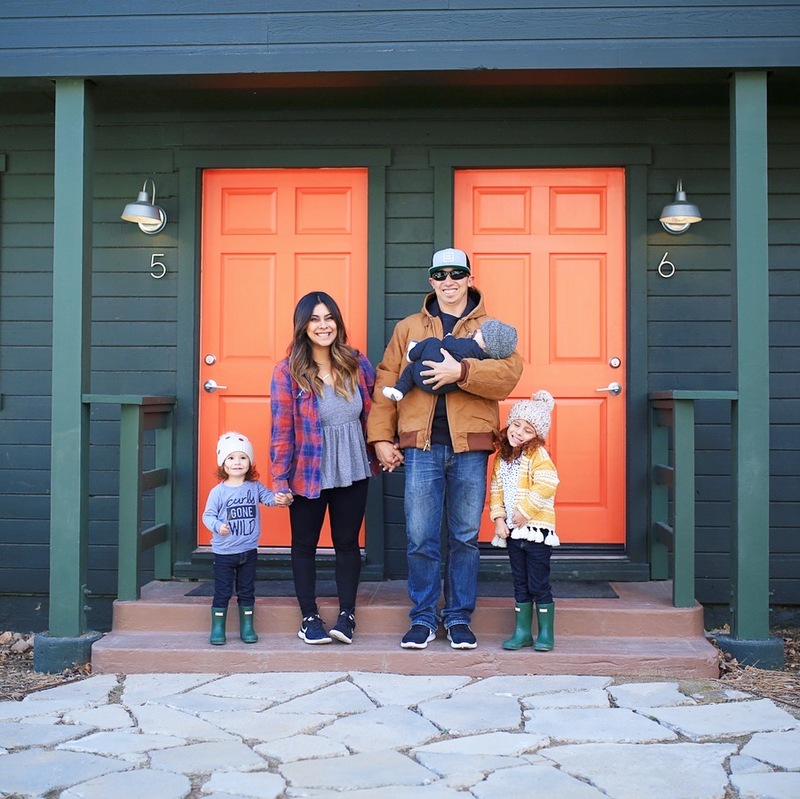 I shared video of our cabin and all the fun things we did on Instagram and had quite a few people ask if Big Bear was family friendly and what activities there are for kids. I think its such a fun spot for kids and we find new spots every time we head up there. 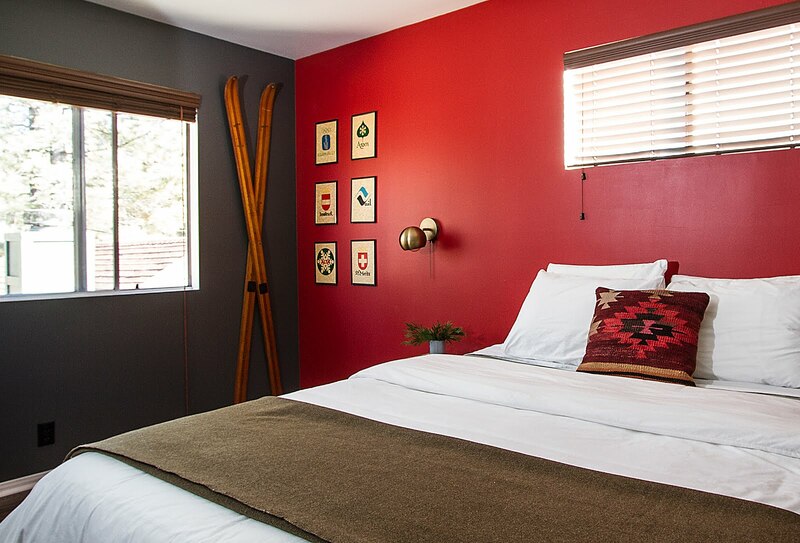 Here are a few of our favorites that are all located minutes from Noon Lodge. Your kids will love it if you happen to head up there and catch snow! There are lots of spots along the way to Big Bear you can stop and have some free snow play. We did this the first day there. We weren't lucky enough to catch the whole town full of snow so we drove a little to find a patch the kids could play in. Not the best snow but so much fun regardless. If you do get lucky, there is a little play area in the village that is the perfect spot for kids. We usually drive up for the day, have lunch in the village and then let the kids go crazy. If you happen to stay at Noon Lodge and have snow, then that is the perfect spot! We've gone twice when the whole lodge is covered in snow. There's enough room and a little hill that is perfect for a sled, snow angels and snow ball fights. It's literally the ideal spot where the kids can play, come in for bathroom breaks and meals with no driving or carseat hassles. Win, win! Our kids are still very little and don't have any interest in skiing or taking lessons at the ski resorts so all these spots are perfect for us. Probably my favorite thing to do. There is so much to do, see and eat! There's a movie theater, big outdoor fire pits, amazing restaurants and I love to walk around and shop and eat all the sweets. We always head to the Village Sweet Shoppe. They have every candy you can think of like all the fun old candy, taffy, gelato and an entire wall of Pez heads. Down the hill from Noon Lodge is the Bowling Barn. We took the girls here on one of the nights and we all had a blast. The food there was actually really good, so you can get away with doing lunch and snacks there. We didn't know that they had glow bowling. They were just starting that as we were leaving so we will for sure be going back to do that. We just discovered this place on our last visit. 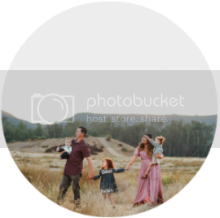 It's so amazing and perfect for the entire family! Jason and I had so much fun, our favorite was hands down the slide. Both girls loved it and we ended up spending most of our time on that. You take a chair lift to the top where you then grab a sled that you ride down the cement track/slide. It's so fun! They also have a tube hill. Jules loved this so much. Plus, there's go karts and golf. Each activity is individually priced by persons 7+ and 2-6 year olds are free with a paid adult. I highly recommend this spot. We can't wait to go back and take our whole family. Here are a few of our must try spots. We love them so much and always head to the same spots every trip. breakfast: Teddy Bear Restaurant - It's in the Village and has the most delicious pancakes, a grilled cheese bar, waffle sundaes and pies. lunch: Big Bear Local - just go and I promise you'll thank me later. SO good and the nicest coolest owners. I love the Rasta bowl and the pina coladidadi. dinner: Paoli's Italian Restaurant - Another Village favorite! We always get the calamari, ravioli and pizza! Another first for us. The girls wanted to go to the park so we stopped at one right off Big Bear Lake. There was a little walk way that led straight to the lake. It was beautiful and such a perfect photo spot, even great for a romantic walk! We were able to watch the sunset from here and it was breathtaking. If you're in So Cal or Orange County are you know there have been some pretty cold/rainy days with a little more rain in our forecast the next few days. I have Big Bear in my weather app and there has been a few snow storms up there and another headed there today actually. If you're looking for a little staycation or some snow play this might just be the right time. Hope this was helpful. If you have any questions or would like more info on anything I listed feel free to leave a comment below and I will try and get to them. This looks so fun and all of these photos are amazing! !